Somewhere under the muddle of cynicism and pathos that “Divergent” offers, an idea of great inspiration is struggling to take root. There exists a need in modern fiction writers, I think, to transfer the bleak overtones of apocalyptic yarns to the imaginations of young adults these days, but the premise at the center of this one piqued my interest in ways most recent endeavors like this could only hope for. The movie’s first scenes are a good launching point for that notion; dialogue from the main character reveals a cultural structure in which people are divided into factions by personality types – wisdom, kindness, honesty, selflessness or bravery, to be more specific – and each alliance plays a key role in holding together a society seeped in unrest. The setting, meanwhile, is clarified by a spectacular establishing shot in which skeletal remnants of Chicago jut out from the ground like gnarled branches, and a high fence that surrounds it hints at terrible dangers that lurk outside the borders. How things like this came to be is but a footnote to the audience, but it does emphasize the urgency of the early voice-over: can you doubt these grim observations after knowing what an infrastructure like Chicago can be reduced to? Kids must be growing up a lot faster these days. When I was younger I ate up stories about characters my age getting caught up in the tribulations of fragmented adult worlds as much as the next guy. But when did the trend become so tragic and downtrodden? In the past two years alone, film adaptations of these stories have underscored a reality that is rather unfortunate. It is not enough to expose teenagers to mere danger, many have to be sacrificed or scarred in order to create elaborate narrative tipping points, too. “The Hunger Games” brought this reality to the forefront, perhaps because the landscape had seemingly been weakened by the progressive darkness of the “Harry Potter” stories, and was continued by “The Mortal Instruments” and “Ender’s Game.” Now comes “Divergent,” a movie so cold and monotone about its material that it plays more like an emotional concession than a full-fledged adventure. Here there are characters that barely rise above social discontent because their screenplay seems uninterested in finding the enthusiasm to resist despair. The movie doesn’t deal with its reality, but submits to it. The film stars Shailene Woodley, a young rising talent whose recent credits in the movies have included supporting roles in “The Descendants” and “The Spectacular Now.” She plays Beatrice (shortened to “Tris” later), a teenage girl whose family lives in the faction known as “Abnegation,” the alliance of individuals that identifies as charitable. Not coincidentally, said faction is also responsible for the political structure of the government, because this is a society that believes selfless leaders are the key in maintaining a balanced system. Alas, Tris is now at that critical age when she and her peers will be tested to see what faction they are destined for, and something deep within her is saying that she is meant for different things. But what, exactly? Her uncertainty, the movie argues, comes from human nature so pure that it cannot be boxed in, and the heads of state calls these individuals “divergent” – or, in more blunt terms, threats to their methodical establishment. When said test shows such “inconclusive” results, she is fortunate enough to have a facilitator willing to fudge them so no one initially catches wind, otherwise her life becomes jeopardized. The decision as to which faction she winds up in, however, is not left up to simple test results, and here is where this regime creates the elaborate illusion that kids do, in fact, have a say-so in what destiny holds for them: there is a choosing ceremony in which each initiate cuts their palm and makes a blood oath to their chosen alliance, which is not necessarily limited to what the test results advise. 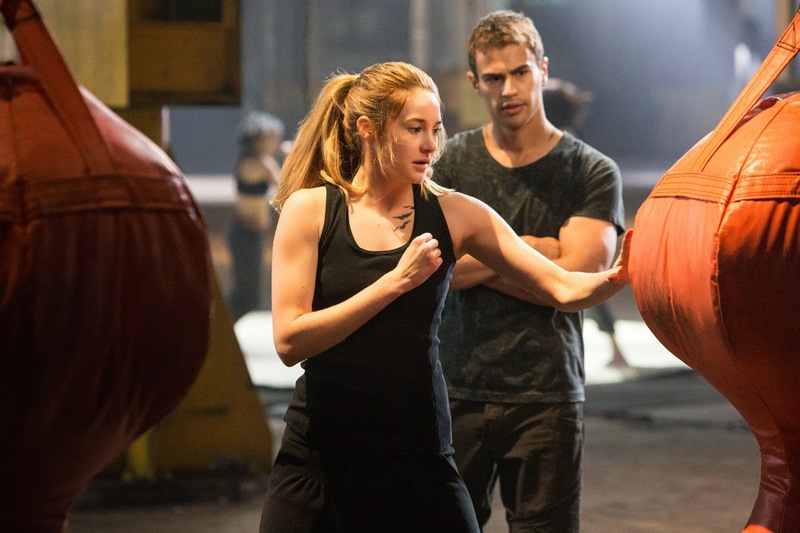 Tris chooses the group referred to as “Dauntless” – courageous and physically active warriors dressed in black, who are sworn to protect and defend the city at all costs. Think of them as police officers with fewer rules, if you will. What inspires her to join their ranks is, we gather, little more than foolish impulse – she responds enthusiastically to their presence because they seem united in their joyous nature, like teenage rebels who have been handed the keys to the high school. And more importantly, they are the farthest thing from Abnegation, the faction of her youth, which has obviously rendered her complacent and disconnected. Her time with Dauntless is far from pleasant, and plays like an excursion through a military facility of overzealous drill sergeants. A battery of physical tests and competitions between she and several new initiates are often brutal failures. Because she lacks muscle tone and notable physical strength, her survival in fights comes down to cunningness, which does not always manifest when necessary. Her desire, however, is incessant, and it catches the attention of a man nicknamed Four (Theo James), a veteran instructor that finds her stubbornness endearing enough to warrant some guidance. There is attraction between them both, too, but instinctively you already knew that – in a movie in which 95 percent of the characters are played by very attractive young stars, it’s only a matter of time really before some sense of sexual desire weaves its way into their conflicts. The movie certainly has the time for it. At 139 minutes, there are lengthy stretches when there is little to no sense of story progression, and the actors stand around exchanging either gloomy catchphrases or baffling redundancies (“the future belongs to those who know where they belong”). Furthermore, many of the supporting players don’t even bother with gumption, and their dialogue is interlaced with that soft-spoken sense of indifference that is usually reserved for aliens or androids. How did they arrive there? Can the implications of this controlled society really leave kids sounding so utterly muted? For all its bewildering goals, at least the colorful artificial society in the “Hunger Games” films inspires some level of liveliness. Here, we are left with the impression that no one who lives in this place has ever experienced a moment of optimism, and it’s rather unsettling. Sequels are reportedly in production, though the last twenty minutes don’t bother leaving many twists for them to build on. Moreover, the movie has so many loose ends left to tie up that it rushes through them without taking many breaths in between. The climax is disjointed and cluttered by endless shootouts and fight sequences intercut with foreboding sound bites (“human nature is the enemy!”), and certain confrontations between heroes and villains – including one with a government agent named Jeanine (Kate Winslet) – don’t resolve with satisfactory results. But really, by that point, who cares? When it comes to this dark and depressing genre of Orwellian societies placing their hopes on kids too immature to comprehend the full danger ahead of them, “Divergent” casts shadows too broad to walk away from. 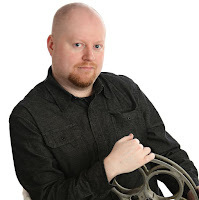 It does not have the precision or insight of “Ender’s Game,” nor does it match the audacious depth of “The Hunger Games.” Yet the idea, I concede, is inspired enough to warrant those additional films, and their success is assured as long as the young core audience finds them worthy of screen treatment. And who knows, maybe most of those kids who flock to these movies will also grow to recognize that there’s more to life than unending melancholy. If we’re lucky, of course.